The evolution of epitaxial structure and morphology has assumed enormous scientific and technological importance in many areas of materials science. From the growth of magnetic multilayers to the fabrication of semiconductor devices, it is generally recognized that an understanding of microstructural development is fundamental to the control of the electronic, magnetic and mechanical properties of thin films. 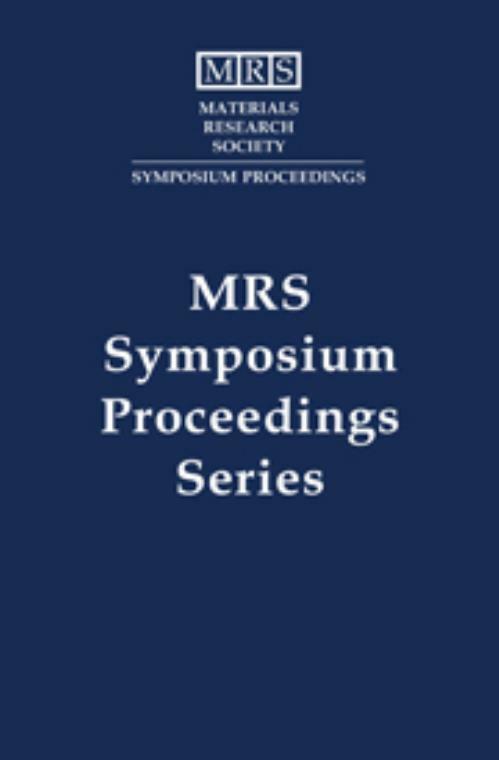 This book from MRS focuses on the structure and morphology of epitaxial systems with a particular emphasis on the time evolution of these properties as growth proceeds. It brings together advances to assess the relative roles of wetting and cohesion, reconstruction, surface and interfacial energy, misfit stress, and defect generation and propagation. It covers a broad mix of work, from basic studies of epitaxial metals and semiconductors to their application in thin-film electronic materials technology. Topics include: growth monitoring and characterization; island-size distributions and kinetic roughening; surfactants, intermixing and alloying; evolution of large-scale structures; self-organized epitaxial structures; strain relaxation; strain relaxation; steps, adatoms and islands and interface roughness and interdiffusion. David Chambliss IBM Almaden Research Center, New York. Roy Clarke University of Michigan, Ann Arbor. Andrew Zangwill Georgia Institute of Technology.